Slang names for dormitories in Grant’s House, according to the number of beds in each room. Used to refer to both the building of Westminster Abbey itself and services that pupils attended there. The slang term for the school’s Natural History Society, founded whilst Tanner was at the school. To ‘keep cave’ is to keep lookout. This term was generic public school slang and is probably drawn from the Latin ‘cav─ô’ which means ‘beware’. Carleton, Westminster School, 1965, p57. Forshall, Westminster School: Past and Present, 1884, p. 586. The house of the King’s Scholars. Also used to refer to their dormitory building at the school. The school’s ‘Founder’s Day’ where benefactors are commemorated. In Tanner’s time the school had an Officer’s Training Corps, a form of military training which pupils could opt to take part in. Drilling was one of their activities. One of the most prominent school societies which held regular debates on topical motions. Tanner was secretary in his final year at the school. A term used to refer to tanning a pupil. A junior boy who acts or acted as servant (‘fagging’) to a senior boy at a Public School. An English sport where a ball is propelled against the walls of a special court using gloved or bare hands as though they were a racquet. The game played at Westminster at this time was similar to Eton Fives, player in a court enclossed on three sides with an open back. The ‘Greaze’ has been held ‘up School’ on Shrove Tuesdays since at least 1753. The head cook ceremoniously tosses a pancake over a high iron bar, which was used in the 16th century to curtain off the Lower School. Members of the school fight for the pancake for one minute, watched over by the Dean of Westminster Abbey (as Chairman of the Governors), the Head Master, the whole School and distinguished or even occasionally Royal visitors. The pupil who gets the largest weight is awarded a gold guinea and the Dean begs a play for the whole School. A cook who failed to get the ‘pancake’ over the bar would formerly have been ‘booked’, or stoned with Latin primers, although that tradition has long lapsed. The grassy space in Dean’s Yard, often used by the boys to play games. 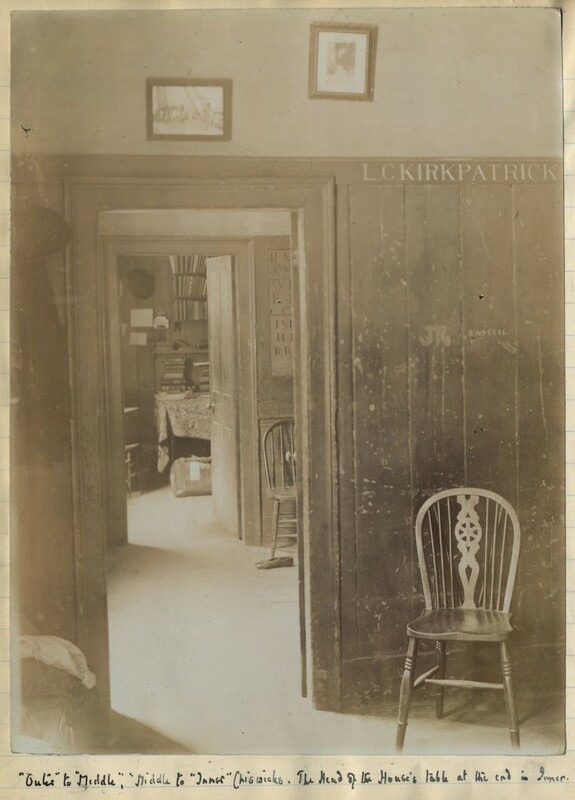 Hall was a room in Grant’s where younger boys studied. Hallites is the name given to these boys as a group. When the Head of House or other monitor cried ‘Hall’ the most junior member of the Hallites was expected to answer the call. The term is also used to refer to meal times when all the boys would eat together in Hall. A day house for pupils who were part of the school but did not board, preferring to live at home. Homeboarders was the precursor to the school’s current ‘Wren’s’ House. 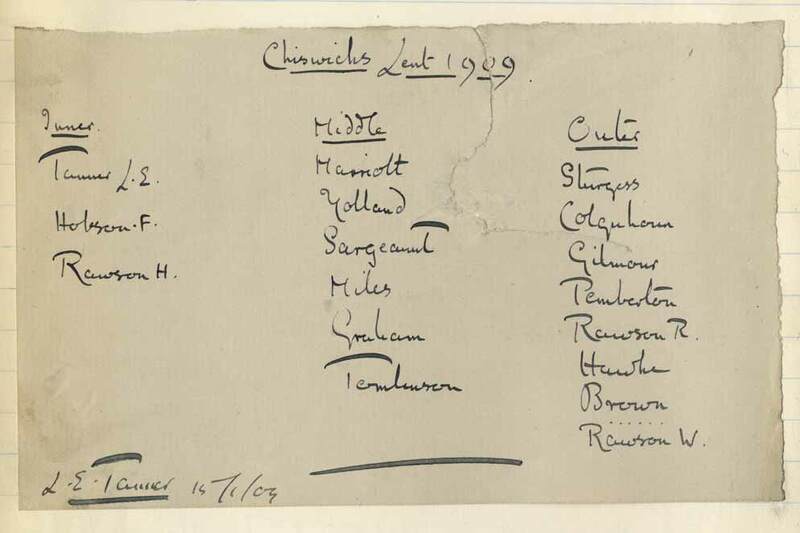 Names of individual ‘Chiswicks’. Tanner and the more senior boys used ‘Inner’, less senior boys used Middle and Outer. Tanner refers to the boys in the latter two rooms as Middlites and Outerites. Boys who pass the school’s challenge examination become King’s (or Queen’s depending on the reigning monarch) Scholars. The school’s statutes provide for 40 scholars and there are consequently usually 8 in each year group. The Scholars board in College. It is a Westminster tradition for the Scholars to perform a Latin Play. In Tanner’s time this took place annual at the end of the ‘Play’ or Autumn term. A school society in which pupils read aloud plays in leisure time. See also ‘Shak. Soc.’ below. Monitor is the generic title given to certain pupils in positions of authority within the school. The Monitorial comprised the Captain of the King’s Scholars, Princeps Oppidanorum, Heads of Houses and their deputies. The Tanner’s main home was in Oxted. They lived here when the school was not in session and often visited for weekends. Oxted is in Surrey and was a short train ride from Victoria for the family. The Westminster School colour is Pink. Pupils who showed particular distinction in school sport were awarded colours (often identified in the right to wear a tie). ‘Full pinks’ was the highest distinction, followed by ‘half pinks’ and ‘thirds’. Short for ‘preparation’, prep is a term still commonly used in public schools, including Westminster, to refer to time given to pupils for independent, supervised study. During Tanner’s time at the school it was often the job of the monitors to watch over younger boys prep in the evenings after supper. The School’s second oldest boarding house and Grant’s chief rivals. A disciplinary hearing conducted by the Captain of the Scholars and other senior monitors. Used when a crime is percieved to be sufficiently serious, or impacts upon the whole school community in the place of discipline within house. Pupils could appeal to the Head Master to hear their case if they felt the judgement was unfair. Scis is the name used by Westminster pupils to refer to other children in the Westminster area that did not attend the school. 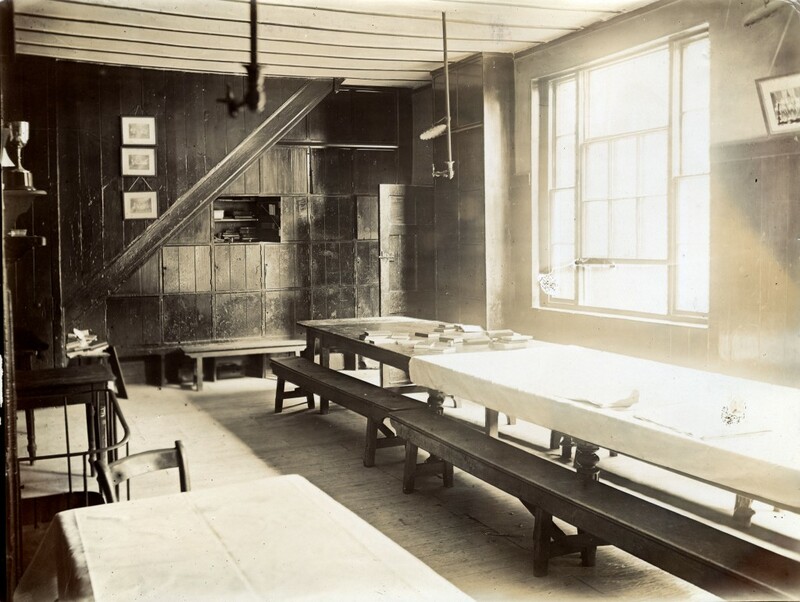 An early form of induction system was created in Grant’s House whereby new pupils (shadows) would be assigned to older mentors (substances) who would help them to settle in during their first few weeks at the school. As an added incentive the substance would have to take any punishment due to the shadow for their misbehaviour. In Tanner’s time at the school there were several societies dedicated to reading the works of Shakespeare. Tanner founded his own within Grant’s House at the beginning of the Play term 1908. To provide food for other boys at tea. A term, still used in the school, to denote a sporting activity which would take place at a timetabled time. 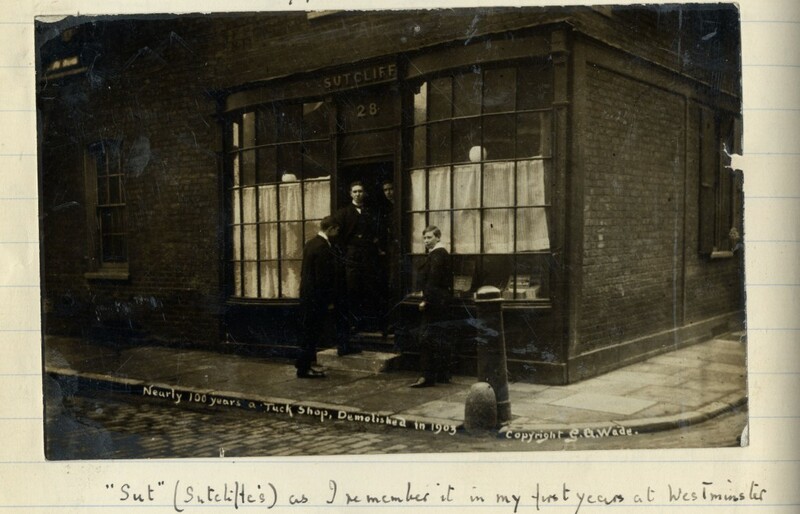 Sut’s was the nickname given to a shop on Great College Street run by a Miss Sutcliffe. The store served as an unofficial tuck shop to the pupils. Its name is commemorated by the school in the name used for a classroom block established on Great College Street following the closure of the store. School terms have idiosyncratic names at Westminster. The Autumn Term (September-Christmas) is known as the Play Term; the Spring Term (January-Easter) is known as the Lent Term; the Summer Term (Easter-July) is known as the Election Term. In Tanner’s time the main factor determining a pupil’s position in the school was his ability rather than his age. Forms were ranked and pupils could go up and down within their form and move up and down between forms at any point in the school year. Any pupil at the school who is not a scholar. The word ‘up’ has a peculiar usage in Westminster slang as a preposition of both movement and place. Therefore the expression ‘up School’ can be used to indicate that someone is in the School’s main hall, or is travelling towards it – the context must serve to indicate which of these options is the case. ‘Up’ is used in conjunction with many different locations around the school (e.g. Fields, Grant’s, Sutcliffe’s), but never with College. To have someone ‘up’ meant that they were being questioned over their behaviour and likely to be reprimanded or punished. 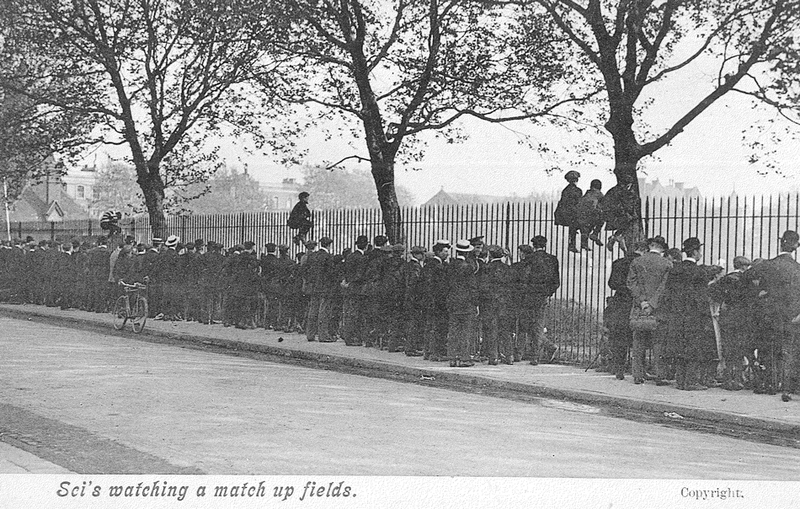 The site of the school’s playing fields. Often simply known as ‘fields’. An abbreiviated form of Little Dean’s Yard, a paved area at the heart of the school, effectively used as a playground. A competition to be played in Yard, the school playground, of several rounds.